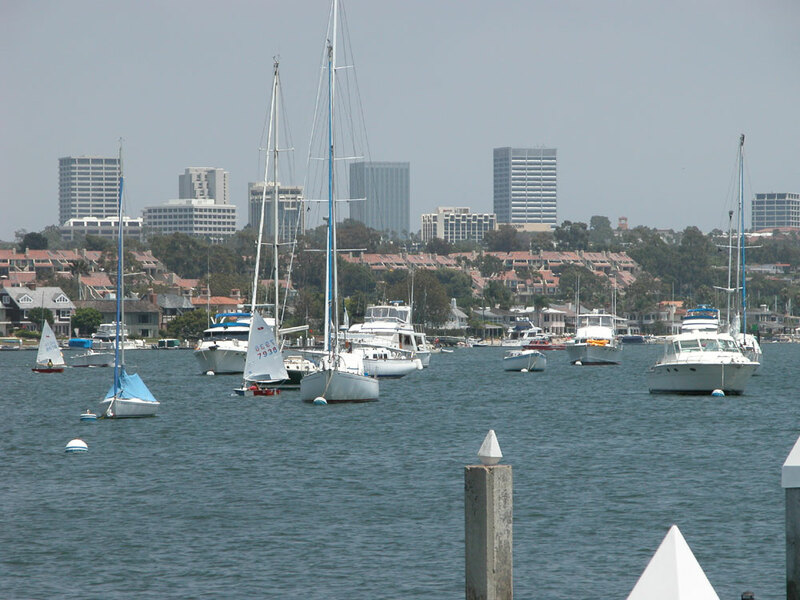 NEWPORT BEACH – An idea to do away with moorings and instead use floating docks in Newport Beach Harbor appears to be off the table, as the city’s mayor recently announced he would no longer pursue the plan. The announcement was made by Newport Beach Mayor Rush Hill during a City Council candidate forum on Balboa Island in late September. The docks were to provide boaters with water and power. At that time, Hill said a floating dock system would give the harbor more space to allow for recreational activities. Within a month of his proposal, an ad hoc committee was formed to study the feasibility of floating docks. The committee had two months to deliver a recommendation to the City Council on the mayor’s plans to change the harbor’s longstanding boat storage format. In June, City Councilmembers agreed to postpone the launch of the floating docks pilot program after the Multiple Vessel System Ad Hoc Committee explained that mooring holders expressed a need for a working dock rather than electricity, and had concerns about increased costs and loss of privacy. The committee’s recommendations called for a 12-month trial period, launching six docks in mooring fields C, D, F and J on city held moorings; docks would be 40 to 50 feet in length and 6 feet wide. Using a combination of the existing weight and chain and Seaflex Helix anchor methods were also recommended. Estimated price of the docks were $210,000 to $248,000. The council agreed staff should prepare and administer a survey to allow residents, boaters and others to provide their opinion on the project. When the results came back with not so promising numbers, Hill announced the floating docks proposal would no longer be pursued. At the Sept. 23 Newport Beach City Council meeting, Hill elaborated upon the decision to shelve the floating docks idea. Heeding the results of the survey, Hill continued there was no sense in going against the grain. “[I] certainly have no interest to cram something down the public’s throat. We’re pulling [the floating docks idea] off the staff’s agenda and we will not be spending any more time on that activity,” Hill said. Chris Miller, Newport Beach’s Harbor Resources manager, confirmed the floating docks proposal is indefinitely tabled in light of the recent survey. In that survey, Miller said there were several concerns raised, including privacy and safety. For example, some boat owners expressed concern about being docked too close to another vessel, therefore losing privacy and space. Yet others were concerned of potential security issues in the event one boat owner had several guests at their vessel. Also, some respondents wondered whether sea lions would be attracted to the docks, potentially resulting in late night noise pollution. Miller added residents expressed concern of whether floating docks would cause too many boats to be clustered together in the portion of the harbor near their homes. The survey was conducted online for a two-month period between July and September and was open for all to participate. Three separate sets of survey questions existed, including one set for waterfront residents, another for mooring permit holders and a third for all other harbor users. Miller said the questions were phrases as such to elicit “yes” or “no” answers. The survey came about after a City Council meeting in June, with council members stating they wanted more community input before making a final decision. Prior to council’s decision, the Multiple Vessel System Ad Hoc Committee studied floating docks for three months before presenting in front of the Harbor Commission in May. Around that same time, a survey conducted by the Newport Mooring Association found about 85 percent of 61 respondents did not want floating docks. About 20 percent of respondents said they would volunteer their respective moorings for a pilot program. A top priority for mooring permit holders, according to the Newport Mooring Association survey, was to have a shoreside work dock, where batteries could be charged and light mechanic work could be performed. If it were approved, the pilot program would have operated from January 2015 to September 2016. Hill believes the opportunity to revisit the floating dock idea may make a comeback.